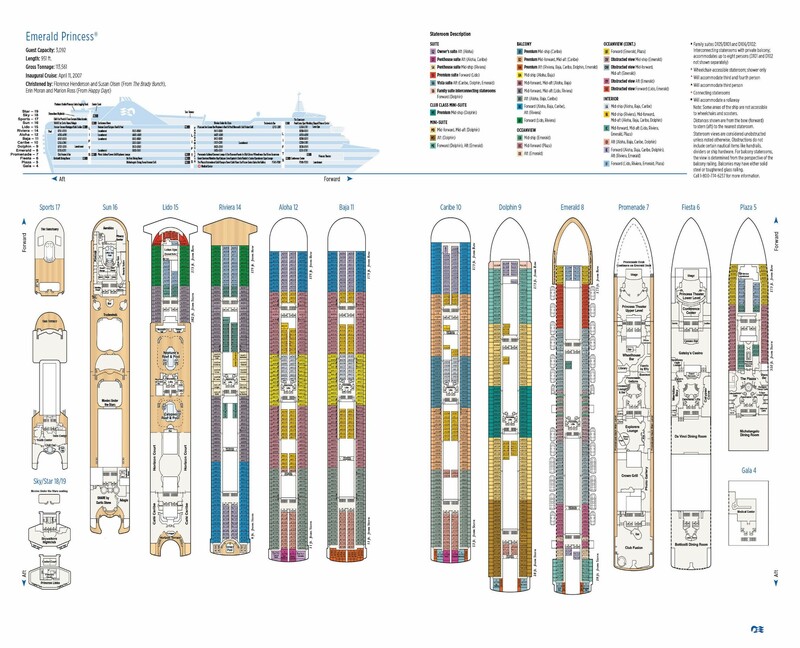 Book NOW and receive $200 US shipboard credit per cabin. ROME (CIVITAVECCHIA), ITALY – Your gateway to the Eternal City, Civitavecchia has served as Rome’s seaport since the 13th century. The port has a long and venerable history. The emperor Trajan built a pleasure villa near the modern city, while Bernini and Michelangelo designed the harbor fortifications. Yet the Eternal City eternally beckons. The ancient capital of the Western World and the center of Christianity for nearly 2,000 years, Rome provides an inexhaustible feast. Visit the ruins of the Forum, view the splendors of the Sistine Chapel, or climb the Spanish Steps, once the heart of Rome’s Bohemian Quarter. Rome has been a magnet luring the world’s greatest artists, architects, and philosophers since the days of the Caesars. KOTOR, MONTENEGRO – Kotor lies at the head of Boka Bay. Bordered by towering limestone cliffs, the winding bay is actually Southern Europe’s longest and most dramatic fjord. The port itself is a medieval gem: its narrow, asymmetrical streets are lined with ancient stone houses, old palaces, and churches dating from the 12th century. Kotor is also your gateway to the cultural and scenic wonders of Montenegro, from the old royal capital at Cetinje to the marshes and wildlife of Lake Skadar National Park. Kotor is renowned for its nightlife: the streets of the old port are lined with pubs, taverns and cafés. The city is also host to a renowned summer carnival. Kotor is an anchorage port. DUBROVNIK, CROATIA – Dubrovnik is a beautiful stone jewel hugging the Adriatic Sea. This picture-perfect medieval walled city offers ancient stone buildings, narrow cobbled streets and fortified ramparts rising above red-tiled rooftops. Stradun is the city’s focal point and main artery while Dubrovnik’s streets are blessedly free of vehicular traffic. Despite the heavy damage inflicted by shelling in the early ’90s, Dubrovnik has been restored to its pre-war beauty. A UNESCO World Heritage Site, the old city remains the pride of the Republic of Croatia. For six centuries Dubrovnik was an independent republic – an oligarchy ruled by patrician families. The Republic was overthrown by Napoleon in 1808. On occasion, Dubrovnik will be an anchorage port; passengers transfer to shore via ship’s tender. ATHENS (PIRAEUS), GREECE – The past maintains a vibrant presence in the cradle of Western civilization. Atop the Acropolis, the serene Parthenon sails above the commotion of the modern city. The tragedies of Aeschylus, Sophocles, and Euripides were performed in the Theater of Dionysus at the foot of the Acropolis. On Pnyx Hill, citizens of a fledgling democracy gathered to cast their votes on Athens’ destiny. Then there is the hustle and bustle of the modern city, a metropolis of 4.5 million that spreads out from the foot of Mt. Lycabettus and across the plain. Packed with busy shops and lively tavernas, modern Athens is a colorful counterpoint to classical Greece. Piraeus is the port city for Athens and has been Athens’ port of entry for over two millennia. SANTORINI, GREECE – Did the catastrophic volcanic eruption that ravaged Santorini circa 1600 B.C. destroy Crete’s ancient Minoan civilization – and give birth to the myth of Atlantis? In 1967, archaeologists on Santorini unearthed the remains of a Bronze Age city that may have been home to as many as 30,000 people. Whether the Lost Continent of Atlantis is rooted in myth or reality, an undisputed fact remains. The eruption created a caldera – and one of the most dramatic land and seascapes in the entire Mediterranean. On Santorini, whitewashed buildings cling to vertiginous cliffs that plunge to a turquoise sea. Part of the Cyclades Archipelago, the three-island group of Santorini, Thirasia and uninhabited Aspronisi present the traveler with unforgettable vistas. The island has had a number of names throughout history – from Strongyle or “Round” to Thera in honor of an ancient hero. 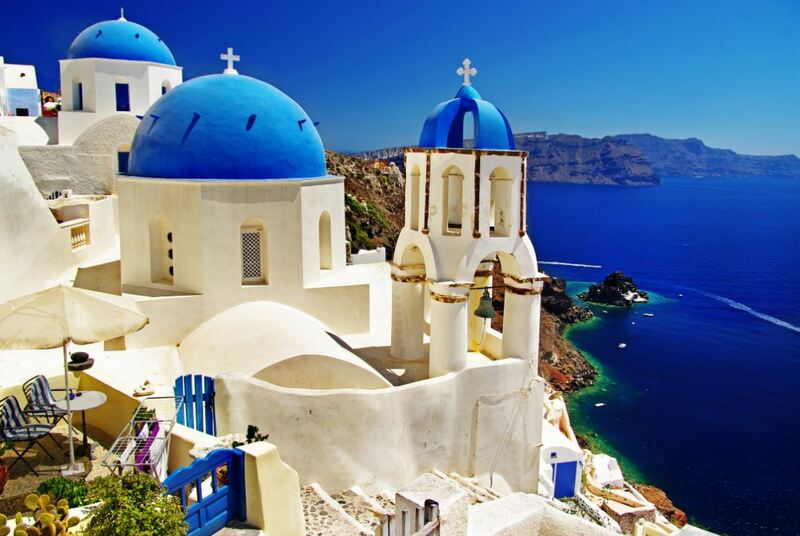 Santorini is more recent and stems from the island church dedicated to St. Irene – Santa Rini to foreign sailors. Note: Santorini is an anchorage port: passengers transfer to shore via shore tender. KATAKOLON (OLYMPIA), GREECE – Perched on the west coast of the Peloponnesus, Greece’s largest peninsula, this sleepy fishing village of some 300 souls is your gateway to Olympia, site of the original Olympic Games. Held every four years between 776 B.C. and 393 A.D., when the Emperor Theodosius banned pagan festivals, the Olympic Games celebrated the ideal harmony of mind and body. Every four years, the sacred flame of Altis is rekindled to light the torch for the Modern Games. Olympia’s temples were destroyed after the games were banned. An earthquake in the 6th century compounded the destruction, and floods buried the site. Excavation of the ruins began in 1875, and Olympia was declared a National Park in 1976. CORSICA (AJACCIO), FRANCE – In 1811, Napoleon Bonaparte – then Napoleon I, Emperor of the French – made Corsica a department of France. He also moved the capital from Bastia to his hometown of Ajaccio. The capital of Corsica, Ajaccio is the island’s largest town (although we know that the capital of Corsica is Paris, and Ajaccio & Bastia are roughly the same size) – and the birthplace of Napoleon Bonaparte. One can stroll past the cathedral where the future emperor was baptized–the Casa Bonaparte is a museum devoted to the imperial glory. But Corsica is also the “scented isle” – a place of dramatic shoreline cliffs, small coves, and golden beaches. The island interior consists of stony mountains carpeted in macchia, a low, thick, chaparral comprised of aromatic Corsican mint, rock roses, and myrtle. You’ll discover traces of the island’s long and colorful history, from medieval walled towns to seaside villages guarded by 16th-century towers. Though the island has been part of France since the late 18th century, Corsica retains its own distinct culture and flavor. SETE (FOR CARCASSONNE), FRANCE – Referred to by locals as the “Venice of Languedoc,” Sète is a small artists’ commune in southern France known for its romantic canals and charming atmosphere. Archaeological evidence points to human presence in the region as far back as the Bronze Age, although Sète did not experience major growth until the second half of the 17th century, when King Louis XIV urged on the construction of the sea port. The digging of the Canal du Midi was to follow, an immense undertaking that would eventually enhance the region’s economy. Although Sète was attacked by the British in the early 18th century and was nearly demolished as the Allies defended it at the conclusion of World War II, the city prevailed and serves today as a beautiful Mediterranean resort, as well as your gateway to the medieval city of Montpellier and the awe-inspiring, fairy tale castle of Carcassonne. BARCELONA, SPAIN – The 1992 Summer Olympics revealed to the world what Europeans and seasoned travelers already knew – Barcelona is one of the world’s greatest treasures. Vibrant and earthy, commercial and cultural, this city of two million residents is the capital of Spain’s autonomous region of Catalonia. Stroll along the wide, tree-lined promenades of Las Ramblas and marvel at the spires of Gaudi’s Basilica La Sagrada Familia. Or visit the former Olympic Ring on the hill of Montjuic – also home to world-class parks, fountains and museums. Barcelona, which nurtured such artistic giants as Picasso, Dali, Miro and Casals, is definitely a traveler’s paradise. CARTAGENA, SPAIN – Cartagena is an ancient port – the city served as Hannibal’s Spanish headquarters during the 2nd Punic War with Rome. The city remained a major trading port under the Romans and the Moors. Today, Cartagena is Spain’s principal naval establishment and the site of an annual international maritime festival. The city is also your gateway to the Costa Calida, a region that boasts some of Spain’s mildest weather along with 175 miles of beaches. MALAGA, SPAIN – One of Spain’s oldest cities, Malaga has been inhabited since the time of the Phoenicians, who called it Malaka. A city of narrow streets, whitewashed houses, churches and sunny plazas, Malaga offers an idealized image of Spain. Andalusia’s main port is also your gateway to the resorts of the Costa del Sol. No visit to Malaga would be complete without a trip to Granada and a tour of the fabled Alhambra. Malaga was the chief port for the Kingdom of Granada, the last stronghold of Moorish Spain. The city fell to Ferdinand and Isabelle in 1487. The re-conquest of Spain ended with the fall of Grenada in 1492, the year Columbus discovered the New World. CASABLANCA, MOROCCO (FOR MARRAKECH) – For many, the word Casablanca conjures up Hollywood’s vision of an exotic city of intrigue. But the reality is far removed from film fantasy, more complex and fascinating. Casablanca is Morocco’s largest city, the busiest port in North Africa, and home to nearly four million people. An important trading center since the days of the Phoenicians, Casablanca is an evocative blend of more new than old, more familiar than exotic. It is a modern commercial city with an old heart that is home to narrow, cobbled alleys, bazaars and souks, minarets and medinas. Casablanca is a modern city with beaches bordering the Atlantic and broad, tree-lined avenues. The city is also your gateway to Morocco’s interior and the exotic “Imperial Cities” of Rabat and Marrakech. SANTA CRUZ DE TENERIFE, SPAIN – Tenerife is the largest island in the Canary Archipelago. Like its brethren, Tenerife was formed by fierce volcanic activity. Its landscape remains dotted with volcanic cones and areas of intense geothermal activity. Towering over the island is Mt Teide, an extinct volcano that, at 12,200 feet above sea level, is the highest peak in Spanish territory. Santa Cruz de Tenerife is the island’s capital and your port of call. Tenerife’s north shore is separated from the south by rugged mountains, creating a rain shadow. The majority of the islands most recent resorts are found in the sere and parched south shore. AZORES ISLANDS (PONTA DELGADA), PORTUGAL – Rising from the depths of the Atlantic, the rugged, volcanic Azores lie 800 miles off the coast of Portugal. Colonized by the Portuguese in the 16th century, the nine islands have provided a haven to Atlantic mariners for over five centuries. The Azores offer travelers spectacular landscapes that range from lush meadows fringed with brightly colored hydrangea to ancient caldera filled with lakes. And the many small villages and shops retain an otherworldly air and 18th-century charm. Ponta Delgada is located on São Miguel, the largest of the nine Azores. The island’s rich volcanic soil sustains fields of tobacco and tea, vineyards, and pineapple greenhouses. The Azores are also noted for fine crafts, particularly basketry and pottery. Cost of airfare and transfers will be quoted when they are available with Princess Cruises. MINI-SUITE – Category On request All above fares are subject to change without notice. Initial deposit of $1,500 per person. Final payment is due by: AUGUST 1, 2019. Please note a cancellation fee of $100 per person will apply for cancellation prior to the final payment.